On Monday BET aired the third annual BET Honors, an award show taped on January 16 in Washington, D.C. recognizing individuals within the black community achieving excellence within their perspective fields as well as exemplifying the mantra “Giving back to give forward.” Actress Gabrielle Union hosted the event for the second time. Harlem native Sean “Diddy” Combs received the Entrepreneur Award; an accolade befitting him because more than anyone in the entertainment industry, Diddy is an entrepreneur. Known for making a way out of no way, Diddy went from being a dancer to a mogul. His accomplishments are shining examples that affirm if one has a dream and is willing to grind hard to achieve that dream; it will one day become a reality. Bad Boy, Justin’s, Ciroc (yes the man has his own alcohol) and Sean John – from movies to music to the runway nothing is out of Diddy’s grasp. 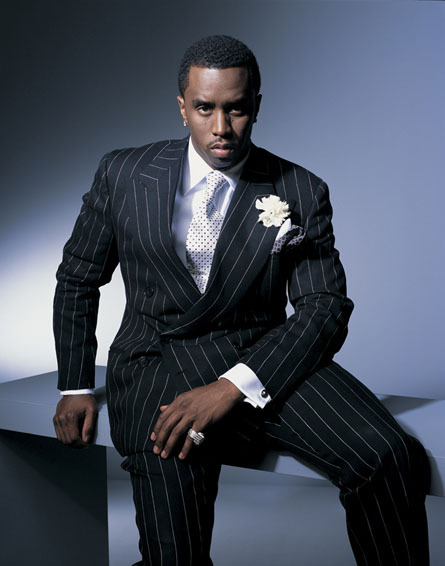 He is the true personification of the phrase “Veni, vidi, vici.” What realm Diddy will conquer next, one only knows. In his acceptance speech, Diddy got personal and thanked his mother Janice Combs. He told a poignant story of how she worked round the clock to provide for him and his sister after his father was murdered and mentioned that he wanted to make sure that she never had to work again. Well, he has certainly managed to attain that task and more. A famous quote of Diddy’s is “Sleep is forbidden,” this award shows that for him failure is also forbidden. Former boss and mentor Andre Harrell and Mary J. Blige celebrated him in song. Considering that Blige was discovered by Diddy and their work defined the genre of hip hop soul, it was a fitting tribute. Two Jersey girls were also honored. 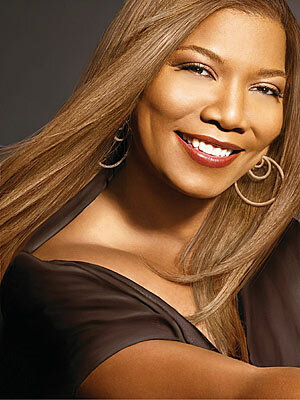 The original queen of hip hop, Queen Latifah, and the iconic Whitney Houston were also two of the award recipients. Both hailing from East Orange, these living legends prove the New Jersey isn’t the “Garden State,” it is the Star State. Taraji P. Henson presented Queen Latifah with the Media Award as Latifah has placed her mark on every facet of the industry and has the awards to prove it. Another legend, Patti Labelle and future legend Jasmine Sullivan paid tribute to the Queen Latifah, who’s real name is Dana Owens, in song. Gracious as always Latifah thanked her mother and father and called people to take action in the effort to bring relief to Haiti. Pioneer, actress, singer, producer and author, Latifah has shown through tireless hard work why she was given the title of queen and on Friday she and Diddy along with Wyclef and other stars will participate in another telethon to help bring much needed aid to the survivors of the recent earthquake in Haiti. There are very few that have or will achieve the levels of success that Whitney Houston has, but there were some that had written this legendary vocalist off. How sweet it is to prove haters wrong, and after being presented with the Entertainment Award by Neo, Whitney is glowing example of what a survivor really is. In her recent comeback to the spotlight, Whitney has shown the world that her voice was not the only gift she was blessed with. The other is a strength that I believe may have been unknown to her until it was truly tested. Whitney says that she stays “prayed up,” and needs nothing more that her God and her child. Thank God that we will have the pleasure to hear that wonderful voice for many years to come. Vocal powerhouses Jennifer Hudson and Kim Burrell tore the walls of the Warner Theatere down with songs befitting a tribute to one the best voices in the entertainment industry. Other performers included the musical genius of Stevie Wonder, India Arie, Trey Songz, Maxwell and Take 6. Neurosurgeon Keith Black received the Public Service Award and educator Ruth Simmons received the Education Award.